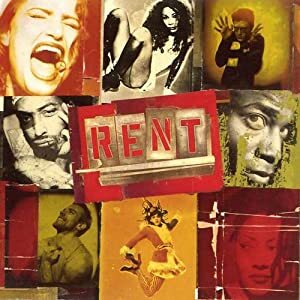 To purchase the original Broadway Cast Recording of RENT, click on the image above. The 1990s. The next decade to be the subject of a Saturday List. Looking at the 1990s is very different to looking at the 1960s or 1970s, or even the 1980s. For one thing, Off-Broadway musicals – while certainly a presence in earlier decades – start to hold a much higher status and offer more competition for places on the list. It’s also a decade that features some very finely integrated scores, which makes separating a song out for a list like this a bit difficult. Also, there are some scores in the 1990s that stand better as complete units, which also makes it hard to feature them in a list like this. So some of my favourite musicals from this decade, like Marie Christine, Passion and Hello Again, end up not being represented in this list, while other shows that perhaps aren’t so great – you’ll know which those are – end up with a spot on the list simply because they have a brilliant, unforgettable song or two that has wedged its way into my heart forever. That said, for the sake of a more even spread, I’ve allowed myself to select only one song from any given musical for this list. But before we get started, here are a few honourable mentions that almost made my top ten: “Lily’s Eyes” from The Secret Garden, “Dressing Them Up” and “Where You Are” from Kiss of the Spider Woman, “Stars and the Moon”, “Surabaya Santa” and “One Small Step”)from Songs For a New World, “This is Not Over Yet” and “The Picture Show” from Parade and “I’d Rather Be Sailing” from A New Brain. The first version of “I’ll Cover You” is a fabulous love song. The reprise is heartbreaking. For all its problems, RENT has some great songs in its score, but there is none more moving than this one. Perhaps if Jonathan Larson had realised how much his choice to have Mimi live at the end of the show flew in the face of the show’s entire thesis, he might have come up with something to top “I’ll Cover You” for Roger’s final song instead of the rather insipid “Your Eyes”. But because the opposite decision was made, it RENT reaches its emotional climax midway through Act II. It’s one of the shows’s biggest flaws. Nonetheless, the reprise of “I’ll Cover You” and its segue into “Seasons of Love” for the coda make for compelling and moving drama. Sometimes a song just strikes a chord with you. Perhaps you aren’t sure why at the time and even though you are sure you might find some technical flaws if you delve into the music and lyrics too deeply – which of course you don’t do unless you absolutely have to – you can’t get enough of it. Perhaps that’s the basis for what constitutes a guilty pleasure. This song is a song like that for me. My first exposure to Whistle Down the Wind was the 1998 concept album, an album of which I bought two copies – one for myself and one for the boy I was crushing on big time. Listening to the album takes me back to that time instantly and I guess some of my feelings around that crush are wrapped up my love for this amazing, spine-tingling soliloquy. Michael Ball’s stunning vocal delivery of the piece also helps. I might have to go and have a listen and wallow in my youth now. Sometimes you like a song because it is just so much fun to belt out in the car. That’s the reason why this song is on this list. I just loved singing it so much around the turn of the century. I even auditioned with this song once. It’s a good sing. But it has to be with the original lyrics. Martin Guerre has gone from flawed to bad to worse in the slew of revisions to which Cameron Mackintosh has subjected it. Everyone involved – including composer and librettist, Claude-Michel Schönberg; librettist and co-lyricist, Alain Boublil; and co-lyricist, Stephen Clark – seems to have lost sight of the story they were trying to tell when they started out, as well as what they were trying to achieve by telling it. This entry was posted in The Saturday List and tagged A New Brain, Aida, Alan Menken, Andrew Lloyd Webber, Assassins, Beauty and the Beast, Cameron Mackintosh, Elton John, Genn Close, Hello Again, Howard Ashman, Jonathan Larson, Kiss of the Spider Woman, Liza Minnelli, Marie Christine, Martin Guerre, Maury Yeston, Parade, Passion, Patti LuPone, Ragtime, RENT, Songs for a New World, Sunset Boulevard, The Life, The Lion King, The Secret Garden, Tim Rice, Titanic, Whistle Down the Wind, YouTube. Bookmark the permalink. Another great list! While I admit I am not familiar with some of your picks, I love Songs for a New World, Kiss of The Spider Woman and of course, RENT and Beauty and the Beast. Some of my favorites from this era are “Stars and the Moon”, “Home” in Beauty and the Beast and “You Gotta Die Sometime” from Falsettos. 🙂 Interested if any of my thoughts in your 2000s make the next list! !